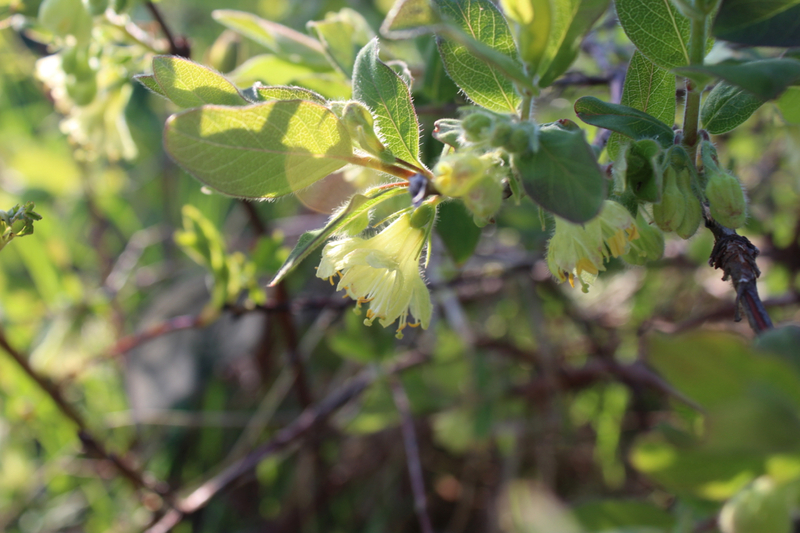 Honeyberry (or haskap) blooms provide a much-needed early source of nectar for insects and hummingbirds. Everything needs to be done. Yesterday. Warm weather and sunshine have made everything pop. Believe me, I am not complaining. 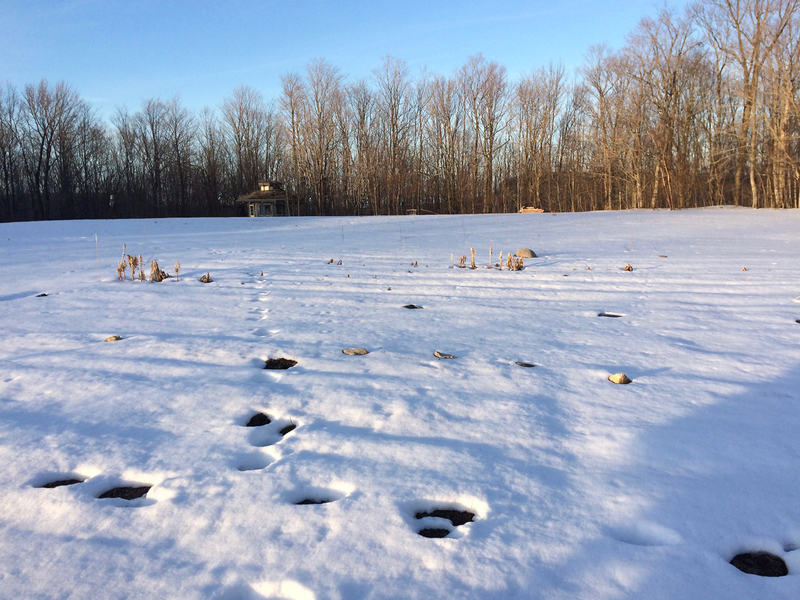 We are loving the weather here at Bird’s Nest Garden Farm. Yes, that is one of my main vegetable plots on April 22. So, less than a month ago we had plenty of heavy snow on the ground. Now we are full steam ahead on ALL of the projects. 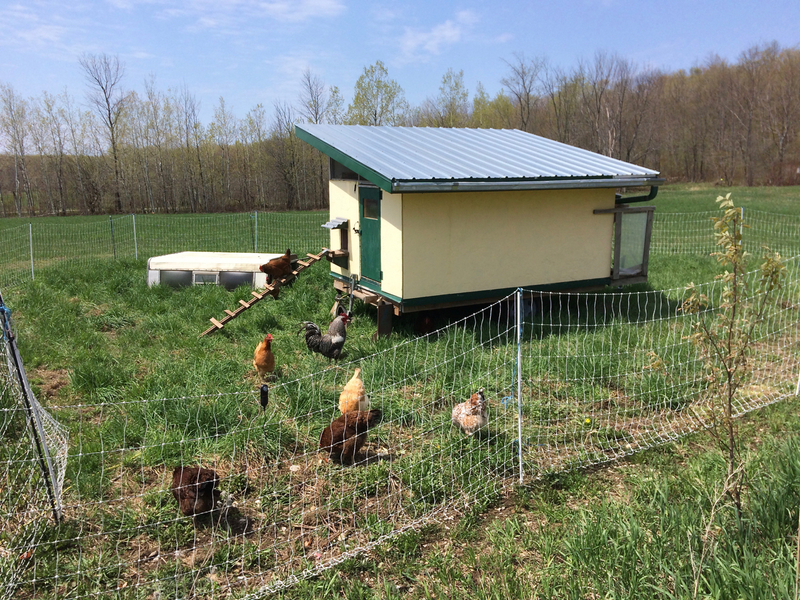 The chickens finally left their winter coop, for full-time RV status. Our feathered friends are back to the mobile life, being carted around the field every couple of weeks. Now to figure out why the auto-close door wants to auto-close at the wrong time. And then auto-open once everyone is settled in for bed. The first location for the mobile coop. Chickens are loving the fresh grass. 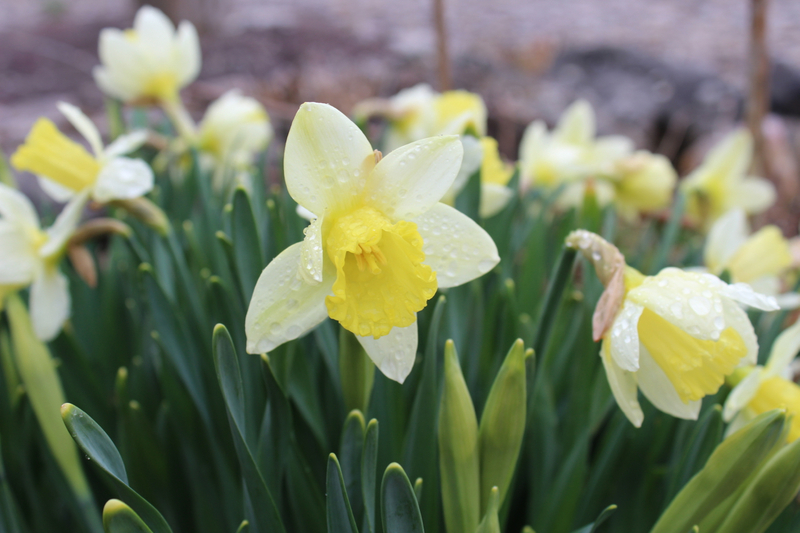 Early bloomers brave the blustery spring weather. Spring is here. No really. I think this time it’s going to stay. Not like all those other times we had our hopes dashed. Don’t even talk to me about April when the most snow we saw all season fell. Of course, we had taken the snow blower off the tractor. As the snow piled up, I watched all of my precious crop planning get backed up further and further. 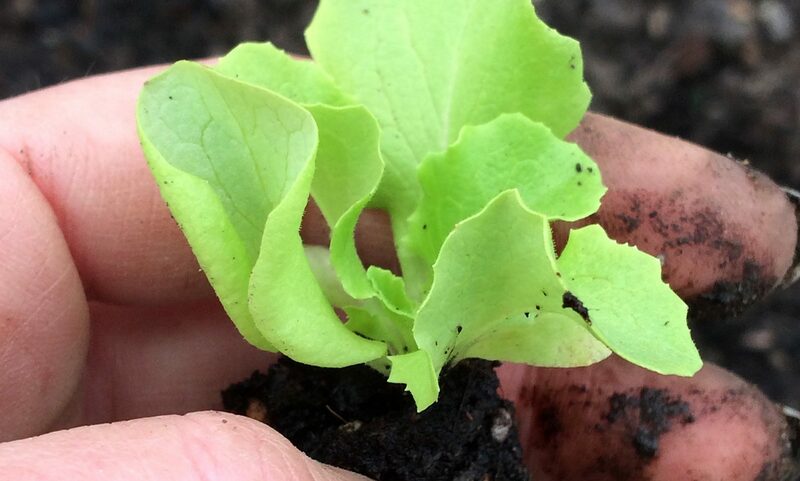 The temperatures stayed too cold to work in the unheated green house. And it continued to snow. But , darn it, I kept up with my seeding schedule. The plants just kept growing. Then I ran out of space. Well, lights actually. 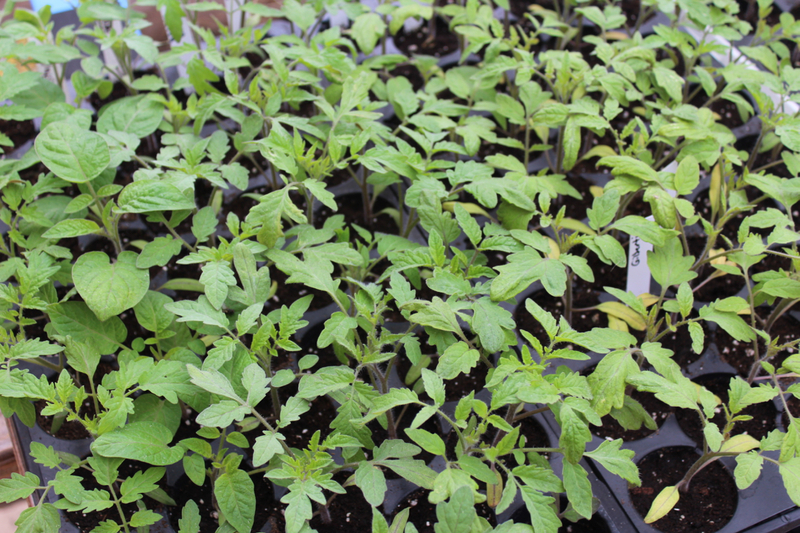 Tomato seedlings growing in the hoop house, when weather permits. We are off-grid, or we could have just slapped up a few more sets of lights, no problem. But when you are trying to balance power availability with power needs, things get a bit tricky. You have to be creative. And you have to adjust your planting schedule.